Besides the birthday cake, Shabelle also ordered 34 pieces of Blueberry Swirl and Mocha cupcakes for the guest. 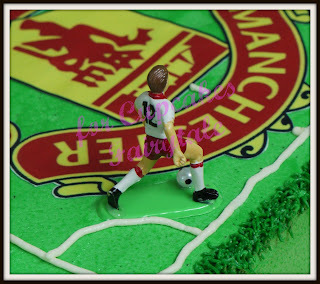 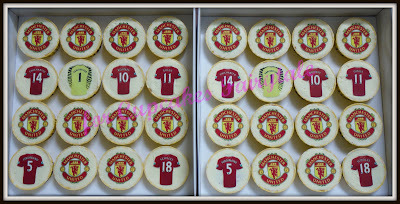 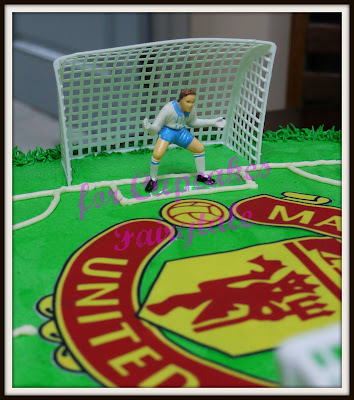 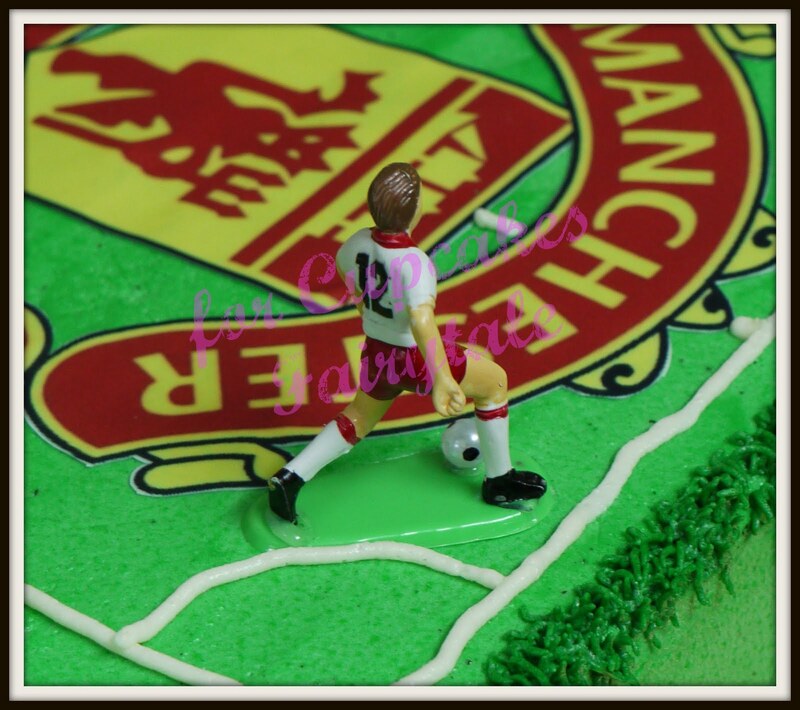 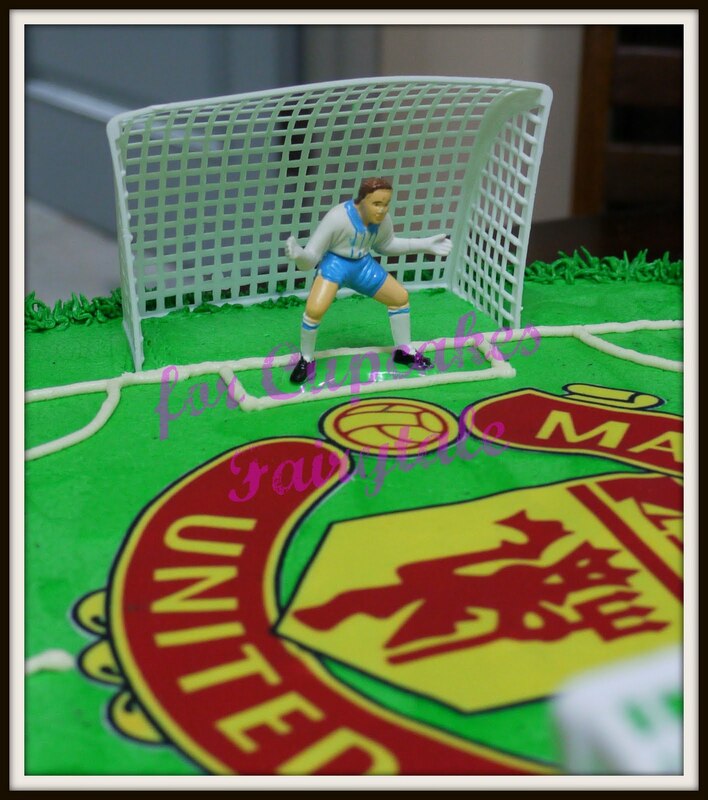 On the cupcakes, there are MU logo and best of all, Shabelle had all Aldrian's favourite players jerseys on them. 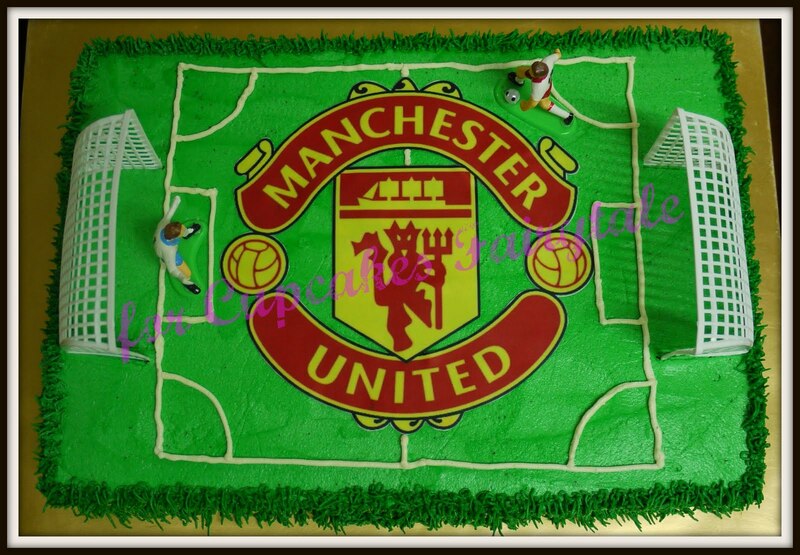 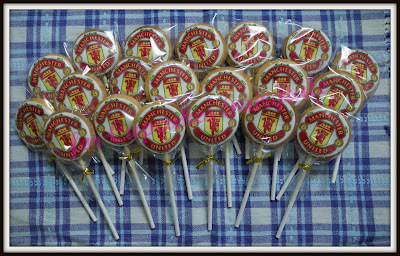 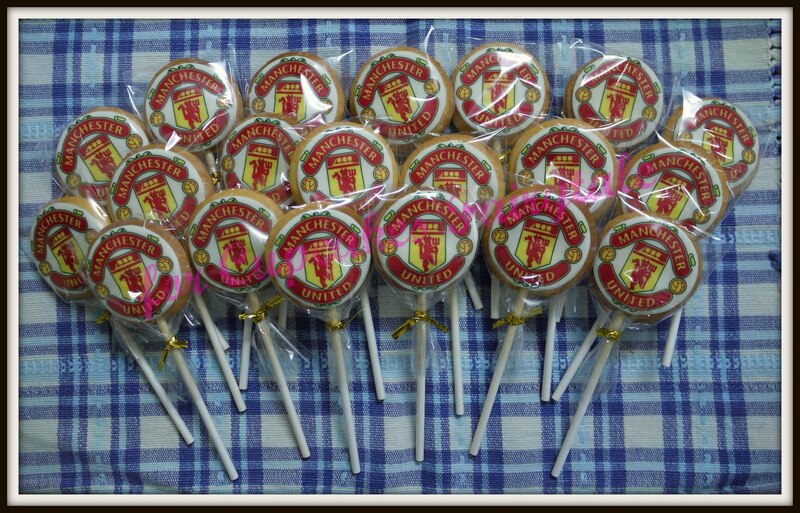 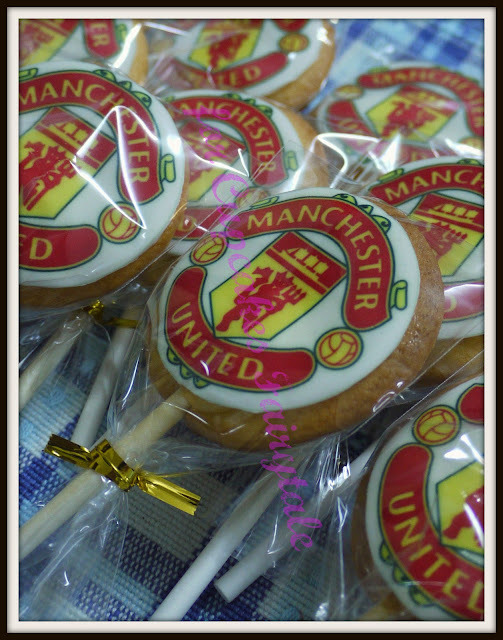 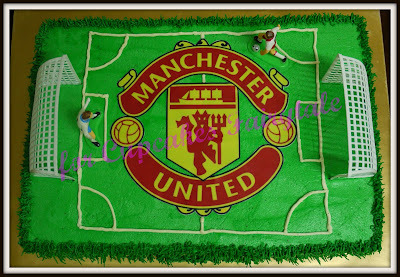 There's Sugar Cookies with Manchester United logo too .....this is a superb MU theme party. 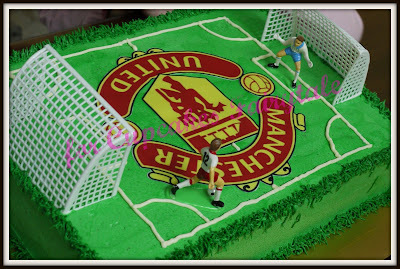 Happy Birthday ALDRIAN, Glory, Glory MU, Big Guy!